Energy efficiency is an imperative part of the initiative toward a greener and more stable environment. Many households and businesses have made the switch to LED (light-emitting diode) light bulbs to decrease their energy use and monthly electrical costs. High quality LED light bulbs have an average life expectancy of 50,000 hours, while the life expectancy of an incandescent bulb is only about 1,200 hours and compact florescent (CFL) bulbs last for about 8,000 hours. 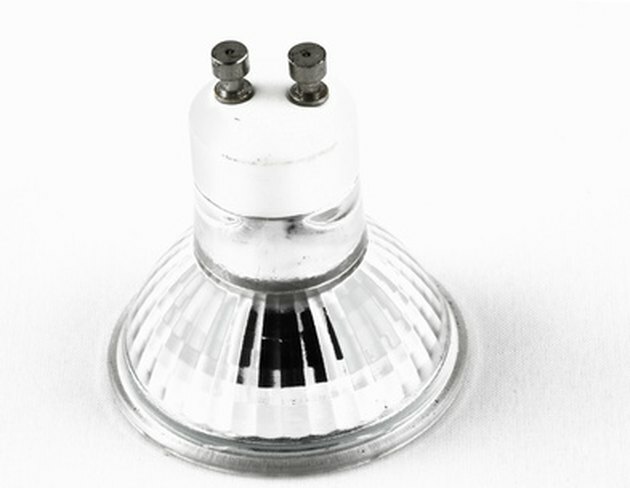 Unlike CFL bulbs, LED bulbs don't contain mercury, so recycling them is easier and safer. LED light bulbs are designed to last, but in the event that yours burns out, recycling furthers the initiative toward a greener environment. Contact your local recycling center and ask if they have special LED bulb restrictions. Because LED bulbs don't contain mercury and aren't considered a hazardous material, they may be safely recycled, but each recycling center may have their own protocols. Package burned out LED bulbs safely and ship them to LED Light Bulb Recycling (link in resources). Return burned out LED light bulbs to the hardware store or online company you purchased them from if that company has a recycling or replacement program. Because LED light bulbs are expensive, many companies, like Ikea have on-site recycling programs that allow customers to bring their used bulbs and batteries to their local store so the store can recycle.